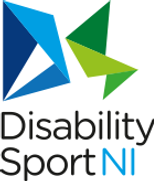 Disability Sport NI was established to ensure that the disabled people of Northern Ireland are given access to sporting activities. Sports are an important part of life for many people. The organisation was set up to ensure that citizens do not miss out on this simply because they have mobility issues. They achieve this goal in a number of ways. They mainly focus on equality of access to sports services. They have a varied number of goals based around this concept. The first is to help maintain and improve the medical well being of those with disabilities. They strive to achieve this by providing a greater number of recreational sporting activities. The organisation is also very active in supporting those with talents who may even be great enough to perform at the Paralympic Games. They do this by first recognising those with exceptional skills within the disabled community. They then help develop these skills through performance pathways and programmes of support. By doing this, Disability Sport NI have changed the lives of a number of disabled sportsmen and women by giving them the recognition they deserve. They have also helped to support the development of sports centres throughout the country. They give training to staff on how to increase the amount of inclusivity so that disabled patrons are able to enjoy the services on offer. In order for people with mobility issues to enjoy sports facilities, they need to give better access. Disability Sport NI work very hard at increasing the level of accessibility for these establishments. Without this organisation, there would be far fewer disabled people who are able to enjoy participating in sporting events. It continues to provide these people with the support they need to develop theirs skills, as well as introduce a new generation to the joys of sports.